Pit bulls are infamous for their roles in illegal dog-fighting rings across the nation. This is a terrible tragedy when one considers that these dogs have no choice in the matter and can be quite amiable if raised by loving owners. Nevertheless, these dogs are stuck with a bum rap- which is why two state governments are finally taking action. This Tuesday, GlobalAnimal reported that Michigan and Delaware are passing legislation to protect pit bulls used in dog fighting. The laws argue that pit bulls raised in an abusive environment should not be punished for the mistakes of others. The law states that those dogs found suitable for adoption should have the opportunity to find a home. This revises previous legislation that mandated the euthanasia of dogs recovered from dog fighting rings, giving the dogs a chance at a new life. If you've seen My Cat from Hell then you know that cats can become social pariahs and rebellious tour de forces when placed in the right environments (or rather, the wrong ones). 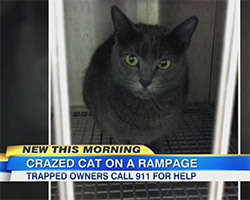 In spite of the absurd situations displayed in the program, it’s rare to see a case in which a cat becomes such a problem that emergency services are needed- and indeed has only occurred in a single, infamous episode. However, according to a report from GMA, that is exactly what happened to one unfortunate family this past week. A 4-year-old housecat named Kush managed to trap a couple in their bedroom after going on a scratching frenzy. The cat drew blood multiple times from both residents- forcing them to call emergency services. Kush is reportedly in quarantine where it has since been discovered to be missing some much needed shots. It’s not uncommon for laboratories to use animals in their experiments. Though ethical standards have been gradually improving among the years, many animals are still subjected to lives of isolation in which they are treated as anonymous entities in a position devoid of fresh air and affection. Many are aware that this testing affects lab rats- but few know that Beagles are also subject to life as an experimental subject. The Beagle Freedom Project aims to change both our state of awareness on the matter as well as the matter itself. 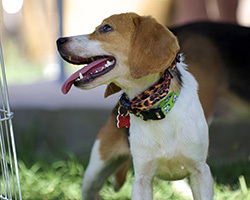 Just this week, VetStreet reports, seven beagles were freed from a laboratory along the border of Texas and Mexico. For the first time, these beagles had the grass between their paws and their identity amounted to more than a number. The beagles have been given names and homes where they can live out the rest of their days in peace. We all know that fleas and ticks can be a nuisance, but not everyone knows exactly how they can affect our pets. 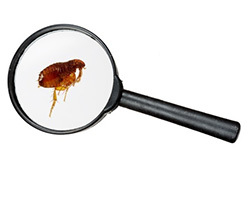 In a short blog post, PetParents explicates five of the most dread-inducing facts about fleas and ticks. This list covers the facts that not only inspire fear but that also provide a valuable repository of knowledge that you can use to keep your pet safe from these vile parasites. In addition to sharing facts about the ways in which fleas and ticks pose a threat to your pet, the article shares some insightful solutions that can help keep your pet safe. Among the solutions offered by PetParents is the use of preventives to keep away unwanted pests. Some of the products mentioned include Seresto, K9 Advantix II, and Advantage II for dogs or cats. For more information on K9 Advantix II, check out these reviews, this article on possible side effects. You can also check out Advantage II with these reviews or this comparison between Advantage II and K9 Advantix II. You can also check out the original article from PetParents here.